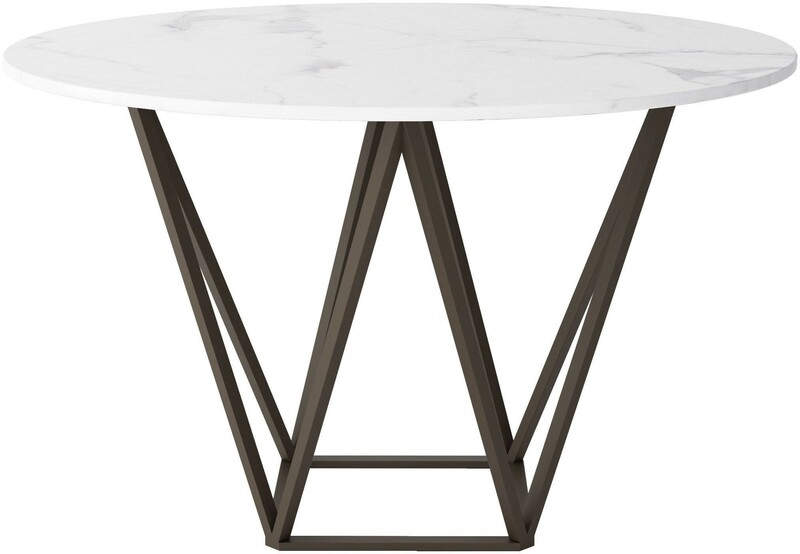 Tintern Dining Table Stone & Antique Brass melds the luxury and modern looks into one to bring you this extraordinary piece of dining furniture. 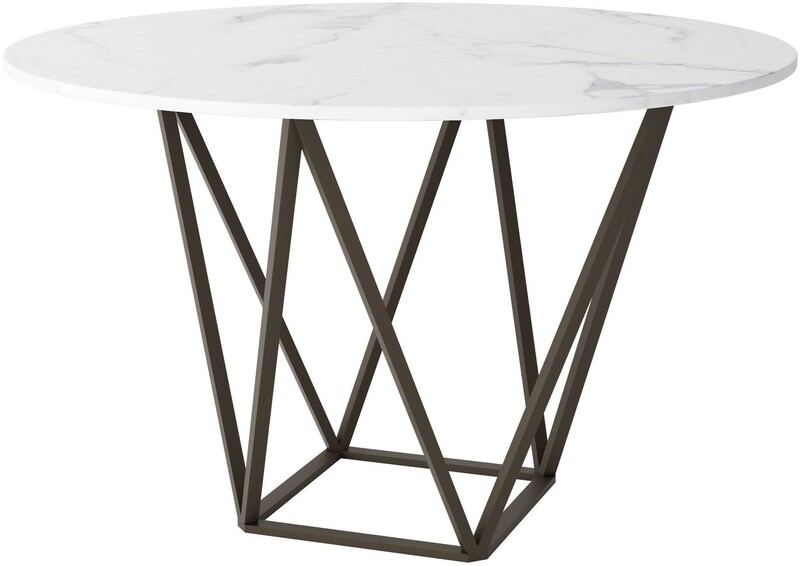 The geometric open airy design of the base is constructed using a steel frame and is topped by round white faux marble with grey veins. Tintern Dining Table can seat up to 4 people comfortably.